An appeal has been launched to raise £60,000 to help Eskdale School build a state-of-the-art 3G football pitch. With the overall cost of the project set to total up to £700k, an appeal has been made to help raise some of the funds. 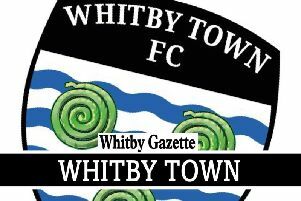 Matt Hewison, chairman of the working group, said: “The development of the potential 3G pitch would be a great asset to both the school and the community of Whitby. “The facility will provide excellent training and matchplay opportunities for grassroots clubs and enable them to develop players and coaches. “The pitch will also provide casual pay and play opportunities for local groups. “We’re working closely with the Football Foundation and the North Riding FA to complete the relevant application process, but we need the support of the local community to see this become a reality. “The overall cost of the facility is in the region of £650–700k and the school, with the support of the community, have committed to raise £60k towards it with other funding coming from Scarborough Borough Council and hopefully via the Football Foundation.